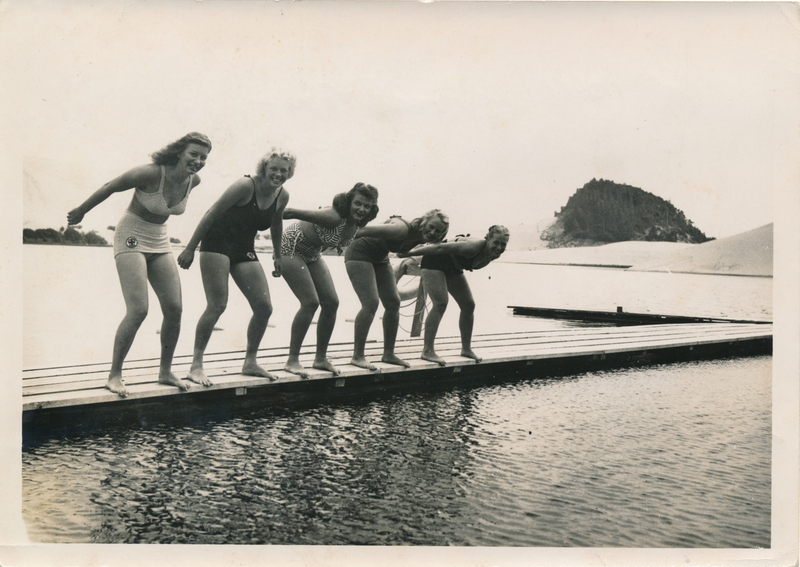 1941 Oswego Swim Park lifeguards. Description Five Oswego Swim Park lifeguards poised to jump into the lake. Transcription 1941 Oswego Swim Park lifeguards.